There are many similarities in the stories of my trafficked Hmong friends M and P.
Both were abducted at the age of sixteen from their home in northern Vietnam. Both were deceived, drugged and spirited across the border by young Vietnamese Hmong men. Both were held captive by Chinese Hmong traffickers, who coerced them with threats of murder before selling them as brides to Chinese men. Having compared descriptions of those responsible, it seems extremely likely that M and P were both trafficked through the same network. Compelling evidence in support of this theory is given by the fact that the two young women were put in telephone contact with one another whilst living in separate regions of China. At that point in time, nobody had heard from either M or P for more than two years. So far as I can determine, the only people who were then in contact with both women and could have put them in contact with each other were their traffickers, and only if their traffickers were the same people. The men who buy trafficked women as their brides are the ones who create the demand, thereby fuelling the horrifying trade – yet M and P seem to hold little blame for their Chinese “husbands”. On the other hand, the two young women do hold a great deal of anger and resentment for the others who bought and sold them through the trafficking network. Over the past three years, that particular human trafficking network has been crumbling. In 2012, a group of four young Vietnamese Hmong men were caught trafficking a local girl into China. According to P’s mother, the leader of that group was the same man responsible for P’s trafficking the previous year. All four men were found guilty and sentenced to prison in Vietnam. P’s trafficker, as the ringleader, received the most severe sentence. After being sold as a bride to her Chinese “husband”, M remained in infrequent contact with the Chinese Hmong couple who had kept her captive in their home in southern China. As with other traffickers, these two were otherwise ordinary people whose concern for human life had been overcome by their greed. The risks they took to perpetrate their crimes, however, made them desperate and dangerous people. 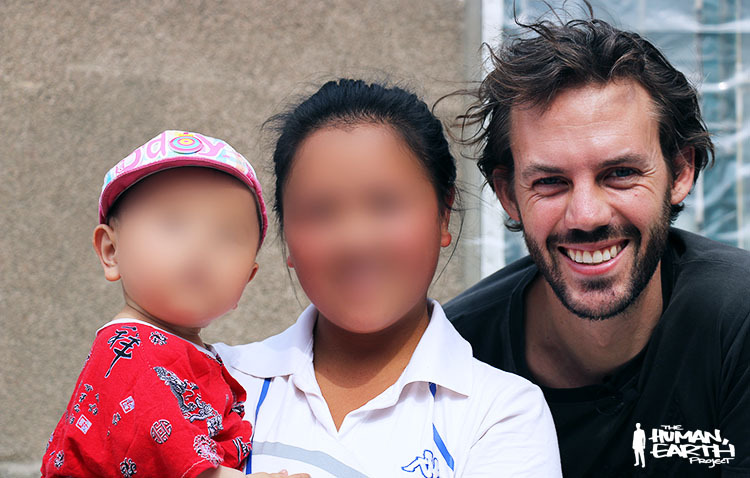 M believes that the couple have been responsible for the sale of a vast number of Vietnamese Hmong girls in China. M spoke of “very small girls” being sold to Chinese men as old as sixty. The Chinese Hmong couple had long promised to provide M with a Chinese ID card, which would give her a measure of freedom and make her position in China less tenuous. While M feigned friendship with the couple, she hated them with all her heart, and spent years watching and waiting for an opportunity to betray them to the authorities. Last June, soon after my meeting with M in China, she received a frantic phone call from the Chinese Hmong man. His wife had been apprehended by the police, and he himself was on the run, in search of a safe place to hide. M boldly urged him to come north and take refuge in the home of her “husband” – intending all the while to betray him to the police. It was a two-day journey to the house of M’s “husband”, however, and her trafficker dared not take the risk. It seems he found shelter in the south, and waited for the storm to pass. For a year, I received no more news of him. Last month, M’s “husband” gave his long-awaited permission for M to visit her family and friends in Vietnam, for the first time in almost four years. M spent two days and nights travelling south with her Chinese-born child. In the meantime, it seems, the police had given up their search for M’s Chinese Hmong trafficker. He had resumed his trafficking operations, holding young Vietnamese Hmong women captive in his home, and selling them as brides to Chinese men. Under the pretense of obtaining a Chinese ID card, M spent a day in the home of the man who had once threatened her with murder. Over the course of years, M had won the trust of her Chinese Hmong trafficker – yet she had never stopped watching and waiting for an opportunity to betray him, and the long-awaited moment came at last. There came a moment in which her Chinese Hmong trafficker was distracted, and M was ready. It was a moment of incredible selflessness and courage, a moment of decisive action. We all dream about what we might achieve, should we only be given the desired opportunity – yet how many of us have the courage to take that opportunity if and when it does present itself, particularly when it holds such enormous personal danger? M did, and for that she will always have my deepest respect and admiration. Her sense of fairness and justice led her down a path that was both difficult and dangerous, and she followed it to the end. When she left the home of her Chinese Hmong trafficker, M left not with an ID card of her own, but with a photograph of his ID card on her phone. It revealed the full name, date of birth, permanent address, identification number and photograph of the man who had bought and sold her. To have him arrested, M would need to approach the Chinese authorities – a dangerous move for someone with no legal status or identification, who risked being imprisoned as a criminal herself. M had her trafficker – almost literally – in her pocket, her baby on her shoulder, and one last card up her sleeve.